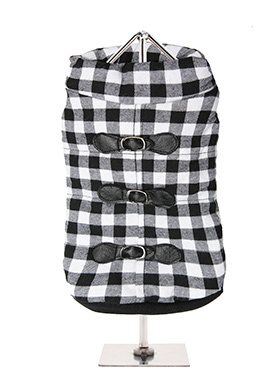 With its soft funnel neck this stunning coat is elegant and practical and is guaranteed to keep the cold at bay and the soft fleece lining will keep your dog toasty warm. The arms and hem are elasticated for a great fit. 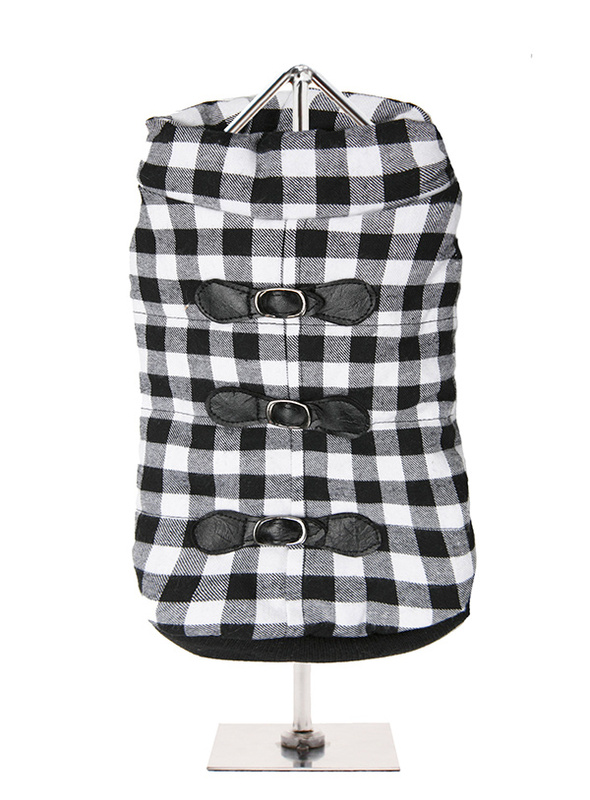 It features three faux fasteners but the coat has four poppers which fasten along the underside making it easy to both dress your dog and remove the coat. 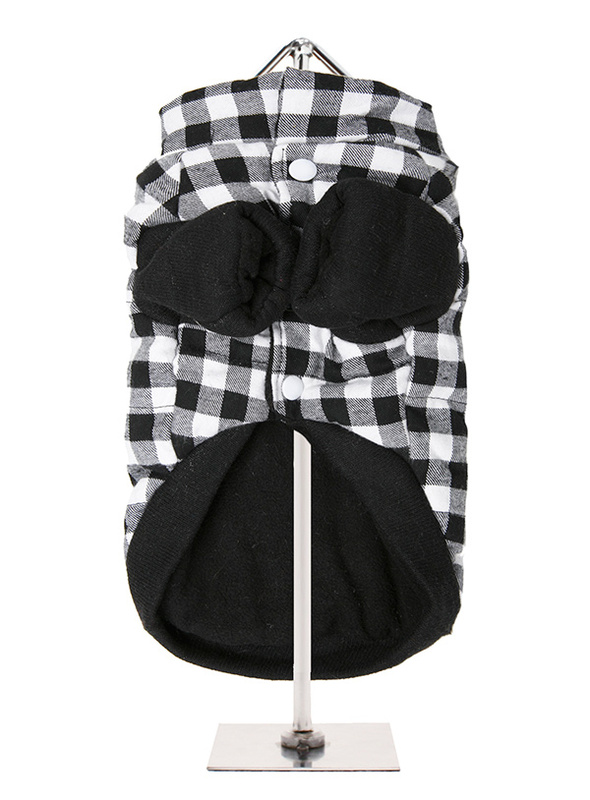 Comes complete with leash hole to allow a harness to be worn underneath.